The last time V was “at” Milton Keynes Theatre, she was approximately a six-month-old “bump”, who was blessed by Hollywood legend Mickey Rooney during one of the more interesting / challenging interviews I have done! 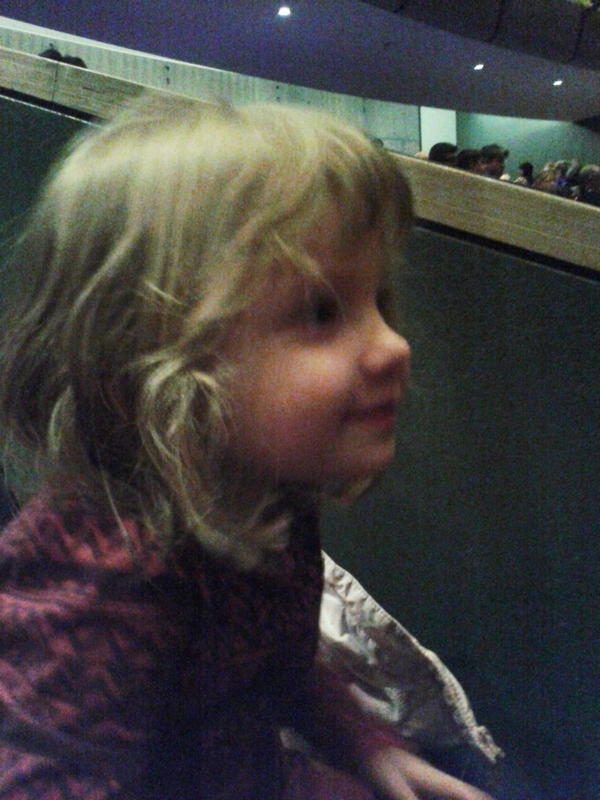 So taking a now three-year-old V to see Ben and Holly Live there was a big moment for us. Not just because of my rather surreal pregnancy experience, but because this theatre is probably my favourite of the modern venues. Over the 13 odd years it has been open I have spent many a wonderful evening seeing the full range of shows that it offers. From dance and drama to comedy and musicals, it has housed some of the top shows on the UK circuit – and Jekyll and Hyde the Musical! But this was my first attendance there for a children’s show – unless you count pantomime – and so it is only now that I have realised what a great venue it is for small person’s shows, due to the amount of space there is, particularly in the foyer! Even with a practically full house, there is plenty of space to wheel a buggy round if you need to and they can be left by the entrances to the auditorium without causing a hazard. The 1400-seat theatre also has great views from everywhere, good leg room and comfortable seats, that for the first time V didn’t get folded up in! But I think that’s more to do with the fact that she is finally eating more and is heavy enough to weigh the seat down rather than it be anything to do with their design! In fact the only places lacking in a bit of space are the toilet cubicles! They are fine for one grown-up but when you need to fit a toddler in there as well and perform all the manouvres you need to in order to actually get them on the loo, they are quite snug! The other facilities are excellent, with a kiosk for sweets, soft drinks and ice cream, a bar and piano bar with someone actually playing said piano live – a lovely touch which really gives you a feeling of “going out” somewhere special. Parking is easy. 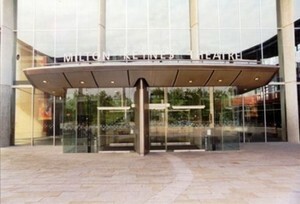 The outdoor spaces around the theatre are at Milton Keynes’ premium rate of £1.20 per hour (soon to be raised to £1.40) but there is also a free multi-storey next door if you don’t mind lifts and/or stairs. The venue is set in the middle of a “theatre district” so there is no shortage of eateries around it for you to take your pick and make an afternoon – or evening – of it. V loved our afternoon out at the “big” theatre and was not at all phased by the cosy loos! So much so that she asked to go at least three times before the show even started, although I suspect that this was more to do with the stage of potty training she was at where going to different toilets is just as exciting as seeing a show! It’s one of those tricky phases where you can’t ignore the request but you are 99% sure she just wants to use the hand blow dryer again! Thankfully, Ben and Holly Live made her forget the excitement of the latrines and a theatrical jelly flood saved us from any other kind!